Want to quickly see how the open-source software PluXml works? You'll find a free and updated demo installation of PluXml here. 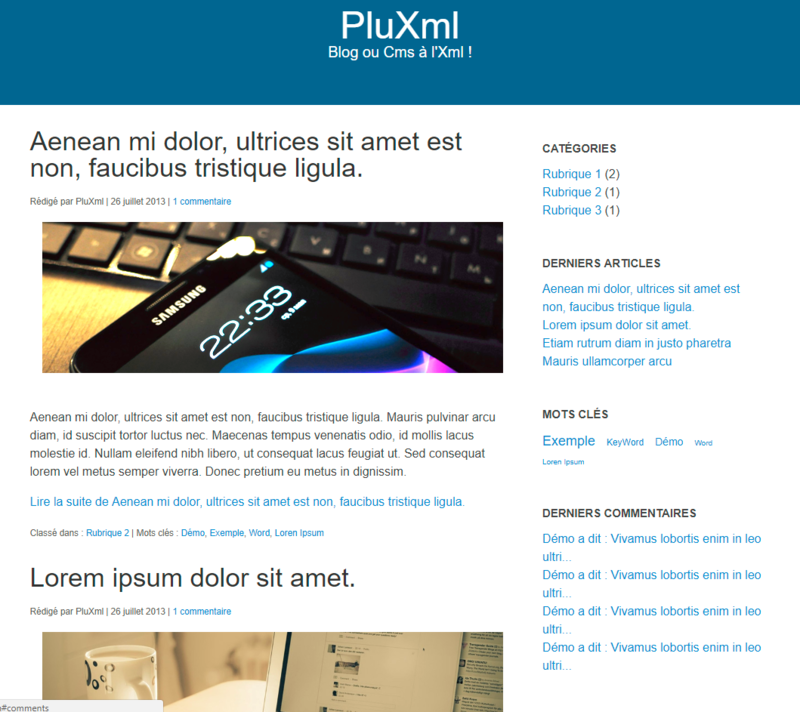 We are currently updating the PluXml demo. Please check back shortly. There will be a new version up soon. 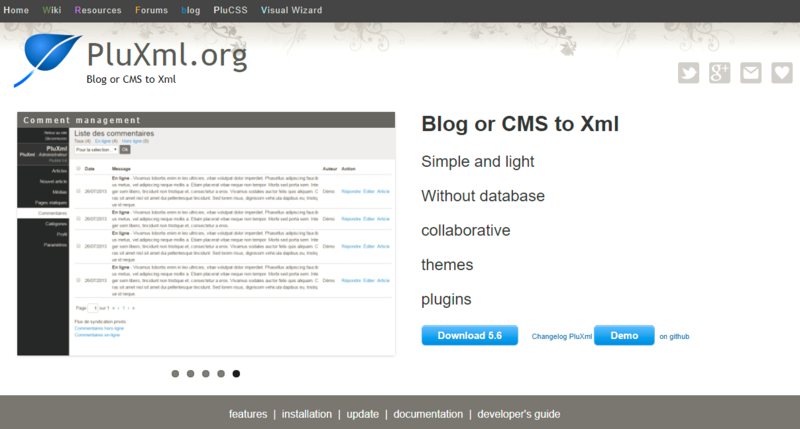 PluXml CMS is a free open source content management system that doesn’t require a database to work. All data is stored in a single file, which makes your website portable to an USB stick. If you want to create your own PluXml CMS demo, the installation process is very easy and you just need to follow the instructions. Other things you will notice in your newly created demo site are a media manager, multi-language support for eleven languages, comment and tag manager. The latest version available for download is 5.6 and was released on April 5, 2017.